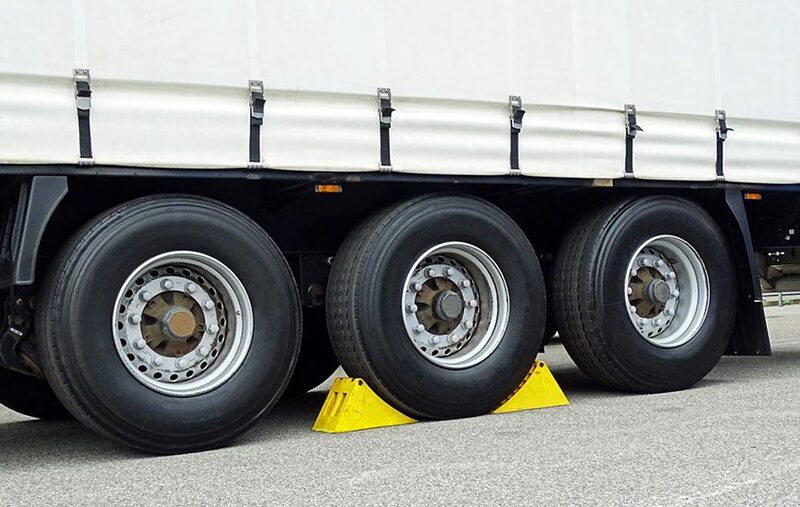 When a huge vehicle like utility trailer, trailer or camper is being towed, a supplementary brake system is not enough to stop both vehicles at once. There are two kinds of brakes available, the manual brakes and the forward self-adjusting brakes. Once the brakes are applied on the trailer, the forward brakes will adjust on its own. The manual brakes, on the other hand, need to be adjusted with a star adjuster. Electric brakes are highly recommended since they do not need to be adjusted repeatedly, once you set them. Going to the mechanic to adjust the electric trailer brake is not required. You can perform this job in the comfort of your garage. Below are 5 easy steps you need to know in how to adjust electric trailer brakes that will help you save money and trip to the mechanic. What is Electric Trailer Brakes? This is a device that is installed in the tow vehicle’s cab and activates the trailer’s electric or the electric-over-hydraulic brakes if you step on the brakes in your tow vehicle. Various models are available and they differ on the number of brakes they can power. But most of them are divided into two main groups, the time delayed or the proportional. A time-delayed brake controller activates the trailer’s brakes with a rate of application and preset intensity, which you determine. With this kind of controller, there is a delay from the time you apply the brake in your tow vehicle to the time the controller reaches the maximum power output of the trailer’s brakes. But, you can adjust the delay with the sync setting. The proportional brake controller, on the other hand, senses how the tow vehicle is stopping or slowing and put the trailer’s brakes with the same power. So, if you hit the brakes hard in your tow vehicle, the controller will turn on your trailer’s brakes forcefully. With this brake controller, you can adjust the initial braking power and ferociousness based on the weight of your trailer and your braking preferences. The jack is used to lift up the trailer where the brakes are located on the bottom of the trailer. Some trailers include jacks or you can buy it at any tools store. The brake adjustment tool is used in turning the brake controller and the adjusting gear. Tightening the gear using this tool is important, which is the primary part. You can easily get the tool in any tool store or hardware and is very compact, you don’t have to think about the storage problems. The primary role of the screwdriver is to tighten the controller and position all the linkages in order. Of course, you have this tool already. Bring the entire set since the trailer brakes have different bolts and nuts, so you can easily get the right driver. The safety gear like gloves and eyeglasses can keep you protected against injury like cuts. It will keep your hands clean and prevents you getting in contact with the internal parts of the vehicle. Park your car in a steady, level and firm ground. It is important that the area is safe to work with since you need to work in the interiors. Now that you have parked your vehicle on a level and steady ground, you need to block the tires on the other side to prevent any rearward and forward movement. A big rock or hollow blocks or anything that can be used as a blocker. Just make sure that the rocks are smooth and won’t harm the tires. Jack the trailer up, make sure that you follow the right way of doing this according to the manufacturer’s guidelines. So before you start doing this step it is important that you read the guidelines first. However, if you already know how to do it, you can start working on it. Once you have jacked up your trailer, use a jack stand to secure it on the right capacity front and rear. Just keep in mind the safety precaution. 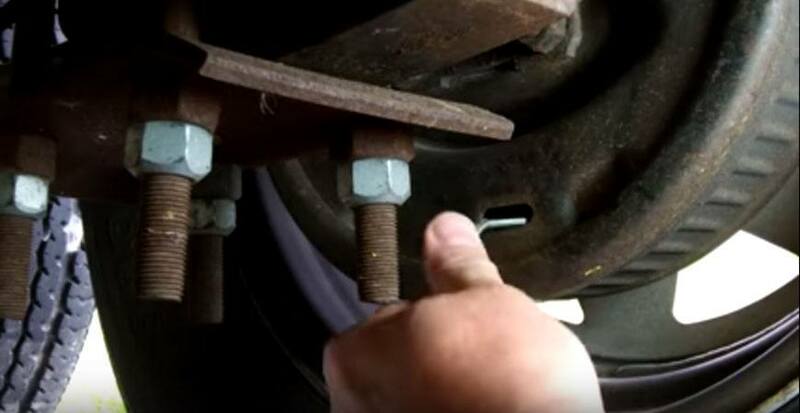 Once you have secured the trailer on the jack stand, the next step is to locate the brake backing plate which is found at the back of the wheel. Look for the small rubber plug and pry out to access the wheel adjuster that is found at the bottom of the backing plate. Keep in mind that some other trailers have different types of axle suspension system. 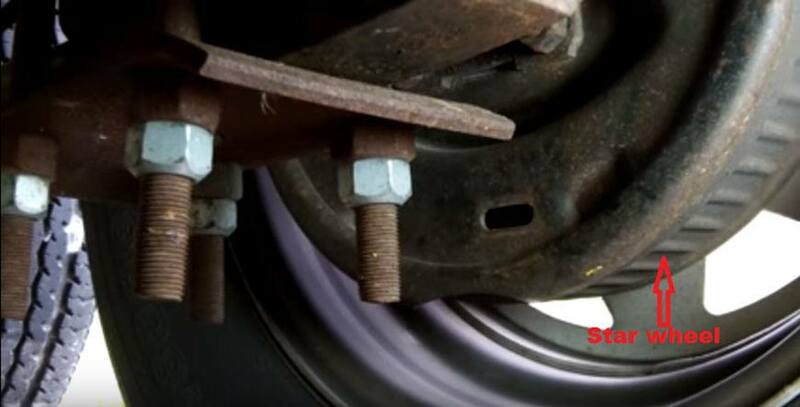 Dealing with these sorts of trailers needs patience and a lot of effort since the axle covers the adjusting hole which makes it hard for you to use the brake tool. Using the brake adjuster tool, insert and move it until it engages completely through the teeth that are found in the star wheel of your vehicle. If you do not have any idea what the star wheel is, it is a gear with its teeth uncovered on the margins. It is found in the innermost part which makes it hard to access and thus turning is required. You can use a flashlight in locating the star wheel. Turn the brake adjuster tool until you are sure that the brake locks up. You can check it once you try turning it again but you cannot rotate the wheel. This will bring the brake shoes on the brake drum positioned in the center which means that they are in right position. Once you have completed the steps, you can now back off the star wheel but make sure you follow the steps indicated in the manufacturer’s manual. Spin the wheel freely. Once everything is settled, you may now turn to adjust the brakes in the wheels. Your trailer is now ready to with the newly adjusted electric brakes. Before hitting the road, test it first and you will find out that the brake system is now smooth as compared before and will improve as you speed up. ​The electric trailer brakes may require some adjustment using the power knob on the brake controller if the weight or weather of the trailer load changes. When the roads are slippery, you need to reduce the vehicle’s braking power, and increase the power if the load is heavier. 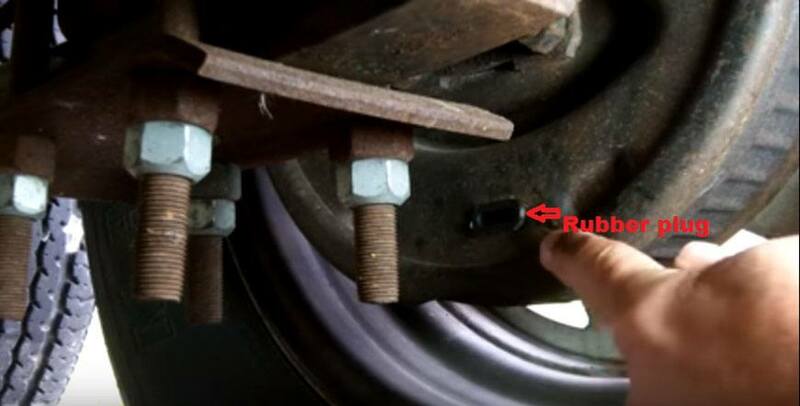 Having a knowledge on how to adjust trailer brakes appropriately is a very vital factor in maintaining your vehicle. You will not only take good care of your vehicle and its functions but you also secure the safety as a whole. If the trailer brakes are not adjusted, you might have a hard time to stop the trailer because of its large size. To ensure your safety and those around you, do adjust these brakes and check them every now and then if they require re-adjustment. 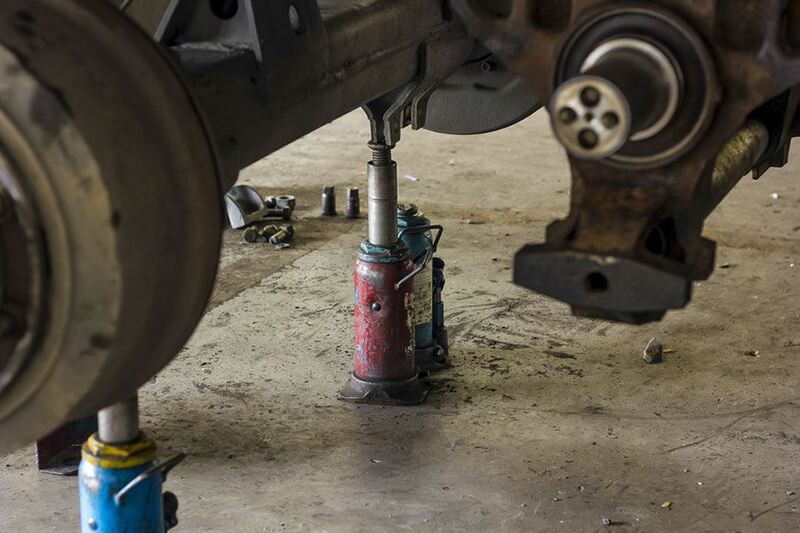 Some may bring their vehicle to a machine shop and let the experts do the adjustment but this will cost you a lot. If you learn how to do the job you will realize that it is easy and straightforward. Hence, you have saved a good amount of money and effort to bring the vehicle to the mechanic. You just need to equip yourself with the right materials, tools, and knowledge on how to do the job efficiently and successfully. If you find this guide helpful to you, feel free to share this post with others. You can also make a comment below.